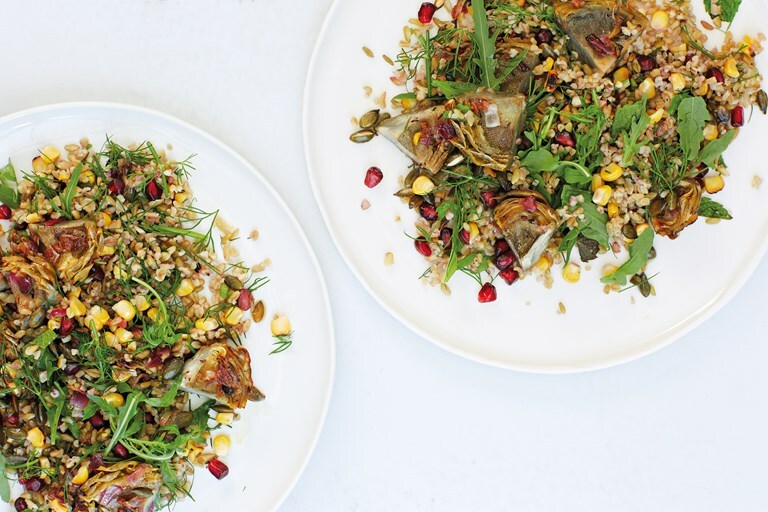 Peter Gordon takes inspiration from Turkey for his freekeh and artichoke salad, pairing the smoky flavour of the grain (caused by the burning of the fields by farmers at the end of summer) with fragrant cumin, golden corn and vibrant pomegranate. The salad makes a filling starter, healthy lunch or light main, and can be served warm or cold – making it incredibly versatile. This recipe is from Peter Gordon's book Savour: Salads for all Seasons. Two decades on from the halcyon days of The Sugar Club, the "King of Fusion", Peter Gordon, still reigns supreme on the London dining scene.